I just finished reading a short book called In The Name of Jesus by Henri J.M. 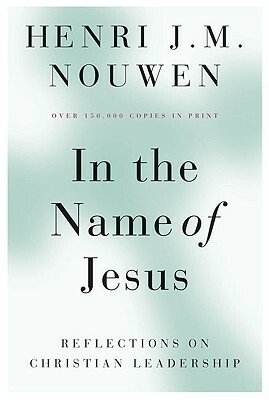 Nouwen (one of my all-time favorite authors). While most books on Christian leadership are about being more relevant, gaining more influence, and being more persuasive, Henri Nouwen's approach is about downward mobility and following the pattern of the crucified Christ. Rather than seeing relevance, popularity, and power as tools for good leadership, Nouwen sees them as temptations to be resisted and to be contrasted by prayer, true incarnational ministry, and theological reflection. Only a leader who humbly seeks God, simply cares for people where they are (even in very unglamorous ways), and who thinks deeply about their influence, always seeking the mind of Christ, can truly find themselves participating in the work of the God who is changing everything through a crucified Messiah. This book should transform and challenge what you thought you knew about being a leader in Christian ministry. What a fantastic book!